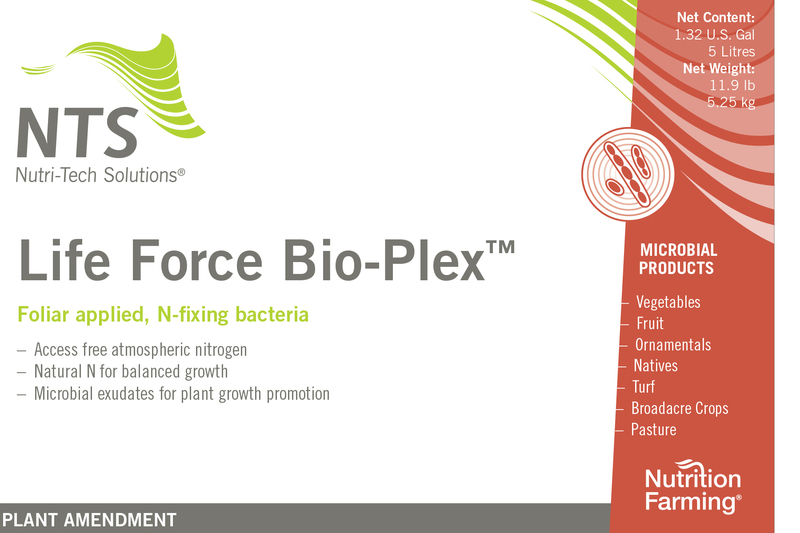 Life Force Bio-Plex is a foliar inoculant that produces a complex, multi-dimensional growth response resulting from increased nitrogen and vitamin availability. 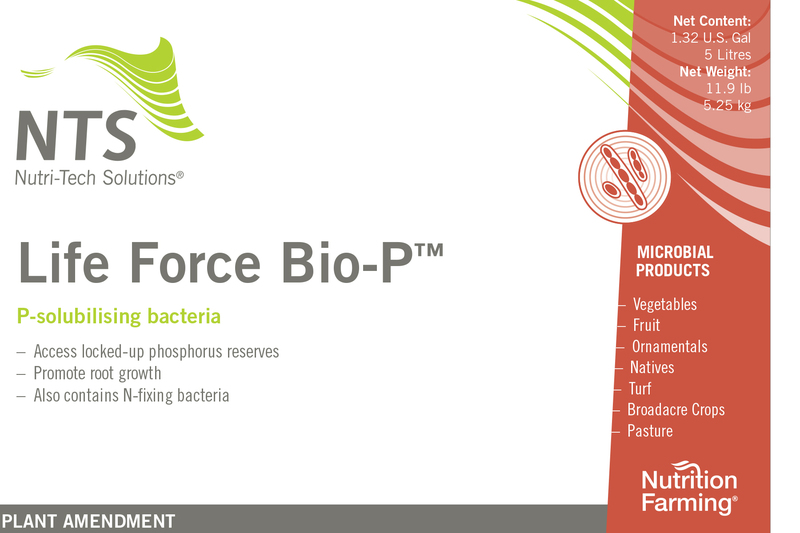 With access to atmospheric nitrogen, your applied nitrogen, and its associated cost, can be reduced. 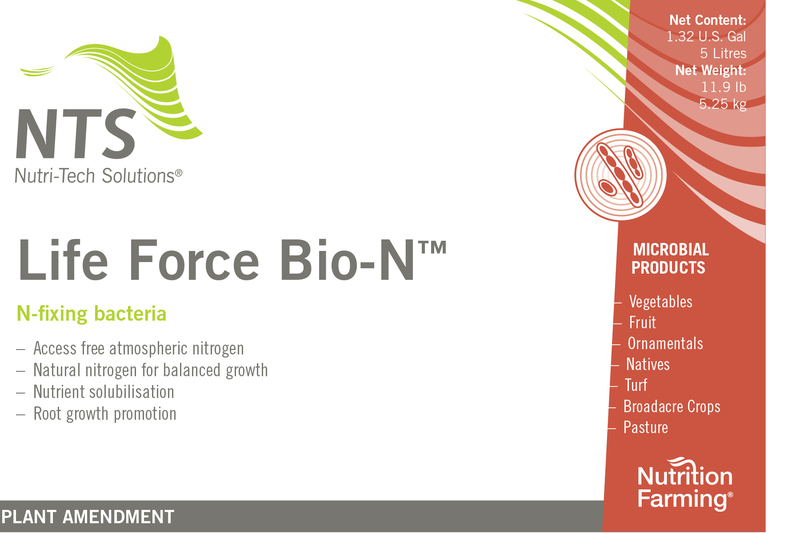 With increased supply of nitrogen, the crop will enjoy higher brix with increased yeild and quality.